Our ability to share visions for moral pathways forward depends on the generous hearts of donors like you. Your gift promotes a culture in which we can think creatively about how people can make better decisions - in relationship with nature and each other. 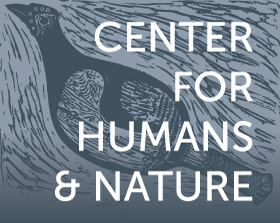 CENTER FOR HUMANS AND NATURE NFP has partnered with Network for Good to securely process your online credit card payment via Network for Good (tax ID 68-0480736). This transaction will appear on your credit card statement as "Network for Good." This transaction is subject to Network for Good’s Privacy, Security & Disclosure Statement and the Charitable Solicitation Disclosure.